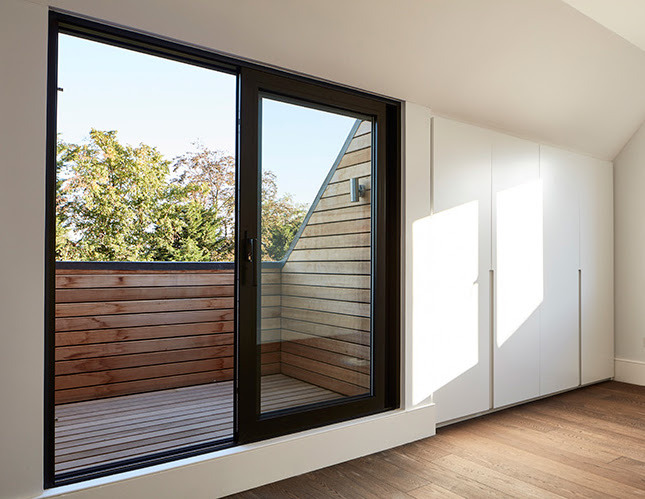 Robert Hirschfeld Architects used the force of design to turn a tired family home in North London from the darkside into a light spacious retreat from the City. 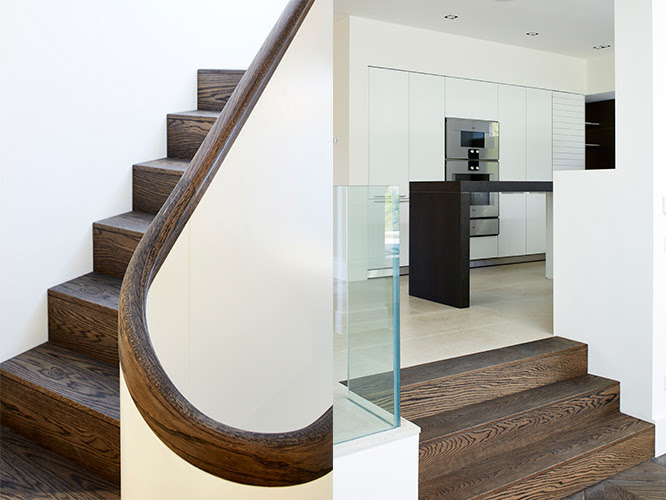 Using Oak Prime 100mm x 500mm Chevron Charcoal for the ground floor and 190mm wide Classic Charcoal for the upper floors they created a synergy of colour that was linked by matching stair treads to create an amazing effect. 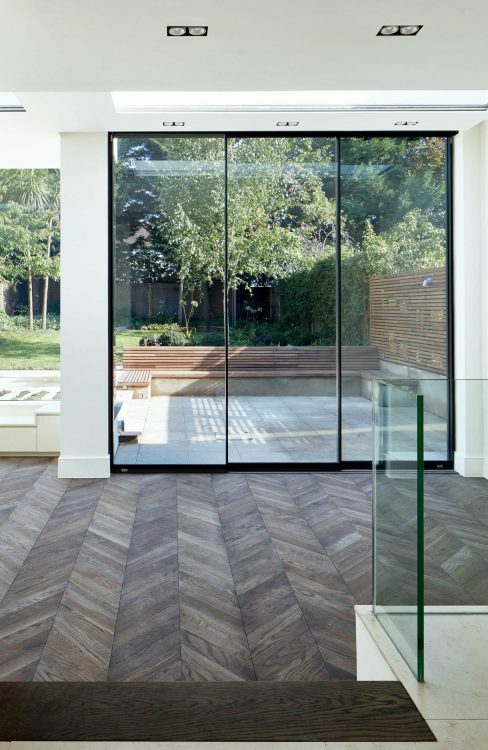 Reeve Wood will soon be opening its doors to its first showroom in London. Located in the Business Design Centre in Islington and will have a permanent presence in London. If you would like to arrange an appointment. 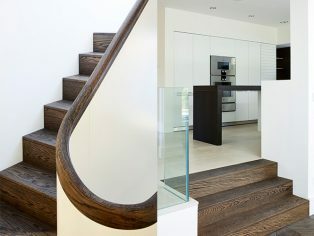 To order a sample of oak classic charcoal or to find out more about Reeve Wood’s stair treads, email info(Replace this parenthesis with the @ sign)reevewood.com. 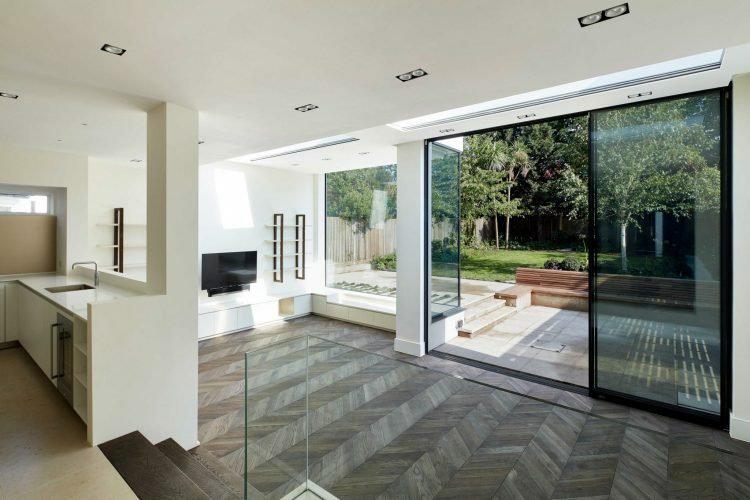 How to specify hardwood flooring with under floor heating? Reeve offer competent and professional CPD seminars in conjunction with the RIBA’s interesting and varied CPD programme. For more information visit www.reevewood.com or email info(Replace this parenthesis with the @ sign)reevewood.com.